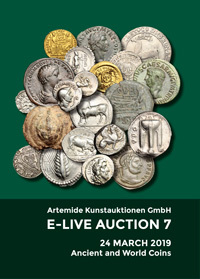 Coins 26 Greek Italy. Southern Apulia, Tarentum. 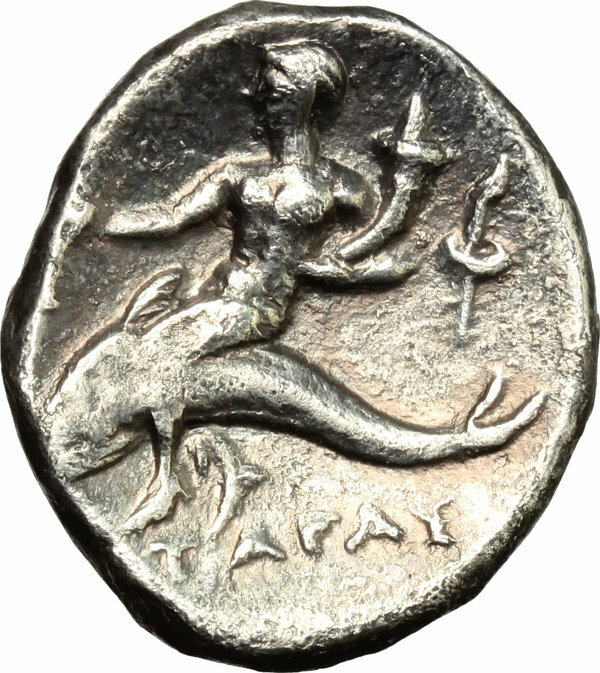 AR Nomos, 272-240 BC. D/ Horseman right, crowning his horse. 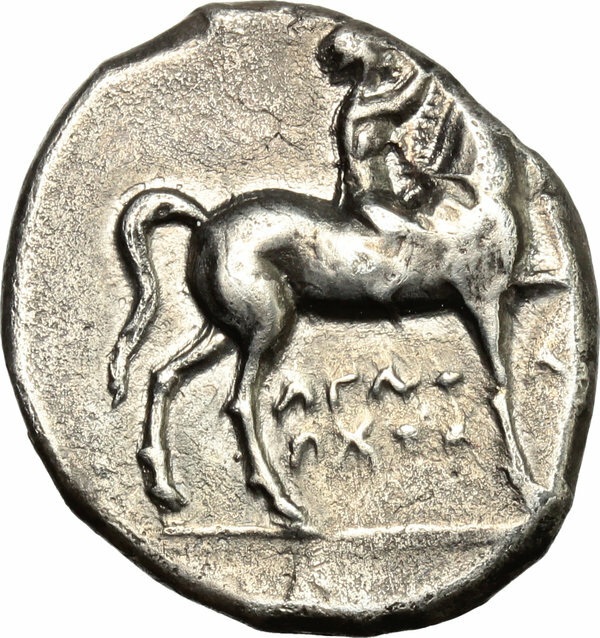 R/ Phalantos riding on dolphin left, holding kantharos and cornucopiae; behind, torch. HN Italy 1028. Vlasto 852-854. AR. g. 6.23 mm. 21.00 Toned. VF.